Transitions to new forms of energy have always been rooted in class struggle. Renewable energy will be no different. But in the years since the alter-globalization movement, some of the prime movers in the global logistics and cybernetics industries have begun to trumpet their green ambitions. And partisans from across the political spectrum now agree on the need to develop an infrastructure that accommodates advanced technologies without relying on fossil fuels. Activists have to adapt new strategies to fit this new reality. It is not enough to disavow “bad” forms of energy or to support particular alternatives. We need to start with a better understanding of energy and capitalism. From the earliest days of industrialization, capitalists used fossil-fuel technologies to erode the working class’s capacity for self-determination, and today is no different — capital’s development of renewable energy sites will play out in accordance with the same exploitative logic. The history of previous energy transitions suggests that we should be wary of allowing industrial capital, however “green,” to once again consolidate its control of global energy flows. As tech giants and venture capitalists increasingly cordon off and develop key renewable energy sites, the struggle against the inequitable distribution of the world’s natural wealth must be renewed and restructured. Babbage’s particular form of technological boosterism was highly influential, especially among British industrialists. Indeed, it was the prospect of a more disciplined and pliant workforce that finally weaned British industrialists off the water mill, hitherto the primary driver of rotary motion in the manufacturing sector. Malm observes that steam supplanted water “in spite of water being abundant, at least as powerful, and decidedly cheaper.” The only economically coherent explanation for this otherwise baffling transition, Malm argues, is that coal-powered cotton mills enabled the relocation of production to densely populated urban areas, where competition for work was much greater. Thus, the key technological advance that coal offered over water — in the early days of the transition — was not greater power, but greater mobility. It was only because of their ability to facilitate “capital flight” that fossil fuels first emerged as a viable industrial commodity. It is one of the great ironies of the history of class struggle that the turn to coal power did not result in the mechanically domesticated hive of workers in Babbage’s reveries. 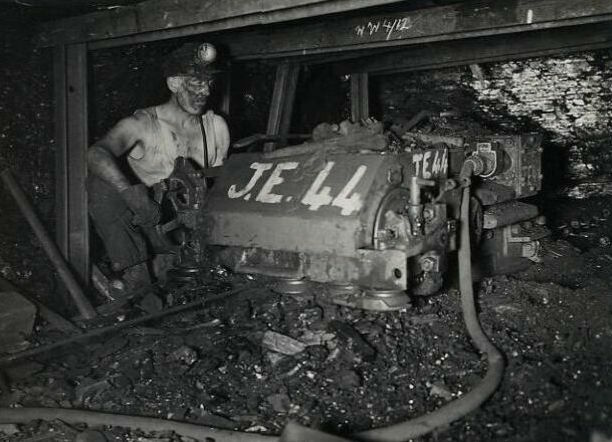 Instead, as the coal industry became indispensable to the functioning of industrial capital, coal miners learned to make political use of their crucial position in the commodity chain. Once fossil-fuel energy had been incorporated into the daily diet of industrial capital, shortfalls in its supply introduced a new set of strategic opportunities. At the time, these opportunities tilted the axis of power back in favor of the industrial working class. Absent coal, the engines of industrial capital would cease to function. As miners learned the instrumental power of the energy commodity, workers’ councils began to shift the center of gravity of British politics. The welfarist concessions of the social-democratic age increasingly appear to have been the unlikely result of an uneasy truce accomplished through labor’s control over crucial energy flows. Coal workers’ power, Timothy Mitchell argues, “derived not just from the organizations they formed [or] the ideas they began to share or the political alliances that they built, but from the extraordinary quantities of carbon energy that could be used to assemble political agency, by employing the ability to slow, disrupt, or cut off its supply.” This field of conditions was something new in the history of industrial capital, and was premised on the ways in which energy had been re-conceptualized as a commodity. Energy was no longer seen as a natural force that one passively harnessed, but as a commodity that one actively produced and traded in the marketplace. And while this energy transformation initially militated against the working class, in subsequent decades coal miners learned to leverage their essential role in the subterranean abodes of the real economy. The success of the trade union movement shocked British elites, forcing them into a defensive posture. In the face of a rising tide of industrial unrest, and following a series of disquieting political defeats, Winston Churchill, then lord of the admiralty, grew worried about the dependence of Britain’s naval fleet on British coal. That dependence gave miners the ability to disrupt the military wing of Britain’s global empire. So Churchill began advocating that the naval fleet transition to oil. While an untried source of energy, oil was produced outside the UK, where labor movements were not as strong or experienced, and it could also be transported through pipelines and other methods less susceptible to blockage. Although the original architects of the transition to oil could hardly have anticipated the long-term success of their somewhat desperate gambit, its effects were felt fairly rapidly. At the same time workers pressed home the strategic advantages of their power over coal flows, emerging oil infrastructures began to subtly undermine coal’s instrumental role in class struggle. Under Margaret Thatcher’s government, Britain’s oil transition neared completion, as they ramped up development of dual core-power stations in the run-up to the landmark 1984–85 miners’ strike. Capable of running on coal or oil, the new stations were designed to circumvent the British miners’ control over coal. Though only a handful of such plants were operational by the time of the strike, the long-term ramifications of the technology were obvious: the miners could be rendered superfluous to the functioning of industrial capital. They had been decisively out-maneuvered. The sheer difficulty of producing and distributing Victorian-age coal remains relevant today. It required many hours of skilled labor in the pits, and on the rails. In contrast, oil was initially relatively easy to access, and in many cases still easier to distribute; it could be produced by a handful of workers at the derrick, and moved — where possible — via pipeline, with minimal labor inputs. Once pipelines became subterranean, it was even harder to disrupt the flow of oil. One could not, as in the heyday of coal, blockade rails to impede its movement, and as such oil has proven much less vulnerable to industrial action. In the transition from water to coal and then from coal to oil, elites had a consistent goal: the weakening of workers’ strategic position. In the first instance, coal-powered capital flight suppressed wages; in the second, the oil-powered engine was mainlined as a means of pushing back an insurgent trade unionism that had secured control over crucial coal flows. With the prospect of a wholesale turn to “renewable” energy, the wheel appears to have spun full circle. Some aspects of the current moment, such as the rise of wind and solar power, appear to offer a path to a more egalitarian future, in which a finely calibrated respect for the Earth’s complex ecological structures prevails. But a clear-eyed, historically-informed assessment of the ongoing turn to renewables is essential. In the renewable energy projects pioneered by Google, Apple, Facebook, and Amazon, electrical output still operates as a commodity to be bought and sold on the market. As these projects get off the ground, they establish a precedent by which tech companies and other speculators lay claim to renewable-rich sites, buying up locations in which the forces of wind, water, or solar energy are most effectively captured. Allowing private industry to develop and own these sites cedes capital the strategic ground once again. The rule of private property allows industrialists and “green” technology companies to extract energy at a relatively low cost before rerouting it to densely populated areas, where it’s sold for whatever price an increasingly desperate market will pay. Given contemporary metropolises’ dependence on electrical current, it’s easy to see how control over the energy supply — even renewable energy — would enable producers to grossly inflate energy prices, receiving a king’s ransom for the electrical current on which the reproduction of life is now contingent. In short, in the context of a capitalist economy, the turn to wind, solar, and water power risks reproducing the inequities that marked the nineteenth and twentieth centuries. In the political tug-of-war that defined those periods, labor’s gains under coal were undermined by the sly and circuitous politics of oil. Delivered through decentralized electrical grids, electrical power is arguably even more difficult to disrupt than oil’s liquid gush. The multiplicity of potential circuits, the sheer number of ways that current can be rapidly rerouted, and the near-instantaneous speed with which it travels make it hard to effectively contain. Workers increasingly find themselves confined to the system’s periphery, scraping by on a meager wage and performing the kind of service work — burger flipping, caring for children, and house cleaning — where the impact of a strike is less instantaneously felt and less immediately crippling to the process of capital accumulation. Unable to shut down the flow of energy, the working class has found it increasingly difficult to assert its interests or, crucially, to grasp the scale of its potential power. In place of the obstinate bloc of trade unionists that rose to resist capital in the age of the steam engine — workers that had grown to know themselves as skilled, indispensable, and capable of effective organization — data-managed contemporary workforces prove willing to concede to levels of top-down orchestration that Babbage only dreamed of. Writing in the immediate aftermath of the 1970s energy crises, George Caffentzis grasped the enormous implications of the nascent transformation. A “society” built on autos is not like a “society” built on computers, McDonalds, and nukes, where by “society” we mean the entire reproduction process. The new form of life dictated by the primacy of the energy/information sectors, like the struggles against it, is only beginning to be formed. In response to dwindling energy reserves and shrinking profit margins, Caffentzis predicted, capital would double down on “its own self-conscious, scientific analysis: scientific management.” He was right. Investors and policymakers threw their weight behind information technology, hoping it would rectify energy exhaustion by expelling “inefficiencies” from the production process. Today, in the face of climate change, tech behemoths have extended and refined this strategy so it unfolds with intensifying velocity. From the various forms of “hot desking” that now structure office space to the circulatory labor of internet merchants’ warehouses to the modes of just-in-time production that prevail in the manufacturing sector, electrical current now acts as the near-universal material medium of the workplace’s algorithmic discipline. Energy does not replace labor as the ur-commodity of the capitalist system, but it does stave off encroaching crises. Energy becomes a kind of stop-gap solution for the capitalist that facilitates worker exploitation and capital accumulation. In struggling against the political consequences of the cybernetic industry’s ongoing ascendance, it is important to apprehend the full dimensions of its double-fronted, data-driven offensive against both climate change and the working class. One of the challenges here is that the strides tech giants are making on the renewable energy front threaten to obscure the incursions they make on the working class’s capacity for self-determination. Absent the means to impede energy flows, there appear to be few other options than to ramp up political pressure on courts and policymakers. To be sure, this is hardly an attractive option. History demonstrates that elites are rarely swayed by appeals to their better natures, and the increasingly technocratic nature of governance almost makes such exhortations seem little more than anachronistic romanticism. But here the strategic successes of fossil-fuel activists offer some guidance about the most prudent approaches. In assessing how to confront capital as the transition to renewables quickens, the first task is to identify the sites that renewable energy developers will target for appropriation. People have learned from the . . . experience of BTC and the Isken coal plant that battles must be fought early on. New projects need to be challenged before they are approved, financed, and planned on hard drives and flipcharts in far-off capitals. Because the development of energy infrastructure entails massive economic, engineering, industrial, and political efforts, the only way to get ahead of the energy transition is to do so literally: to take preemptive action, to map before the mappers. From their careful attention to the experiences of people living on the Baku-Tbilisi-Cehan pipeline — which runs from the Azeri-Chirag-Guneshli oil field in the Caspian Sea to the Mediterranean Sea — to their mapping of BP’s enormous influence on art and politics, Marriot and Minio-Plauello’s work points to how activists can identify and intervene in the flows of oil infrastructure in ways that help locate crucial starting points for the struggle against renewable energy monopolization. It is only by piecing together the big picture that the Left can hope to understand its place in a rapidly changing field of play. In this renewable environment, the goal is not — as it is now with oil — to obstruct development, but rather to deny private interests the legal right to own the future sites of humanity’s common sustenance. Writing in Volume 3 of Capital, Marx laid out the ethos that will define political struggles in the age of renewable energy. From the standpoint of a higher economic formation, the private property of particular individuals in the earth will appear just as absurd as the private property of one man in other men. Even an entire society, a nation, or all simultaneously existing societies taken together, are not the owners of the earth. They are simply its possessors, its beneficiaries, and have to bequeath it in an improved state to succeeding generations as boni patres familias. Yet in the struggle to achieve such a world there is no prospect of outgunning or outspending capital — the Left is increasingly unable to even imagine what taking control of the means of production would entail. New strategies are in order. As capital sheds labor, and as the forces of production become less pliable in the hands of workers, renewable energy-rich sites will emerge as key battlefields — arenas where activists, lawyers, workers, and indigenous communities must forcefully contest capital’s private claims to common wealth and call into question the state’s enforcement of private property rights. Because ultimately, the key impediment to another world is not our fossil-fuel dependency, but our subjection to the logic of the commodity form itself. As we begin to bid fossil fuels a long, hot, dirty goodbye, and as we attempt to discern how class struggle will unfold in a post-fossil-fuel economy, we can draw upon the diverse legacies of the labor movement and fossil-fuel activism to construct a new set of political strategies adequate to the particularities of our own moment. This will be an arduous process. But for those of us that dream not only of an end to the fossil-fuel economy, but of an end to the tyranny of class oppression itself, the promise of a viable renewable energy infrastructure extends beyond mere survival. On a good day, one can imagine solar panels and wind farms powering the kind of utopian life that Marx once sketched with such epigrammatic haste. Brent Ryan Bellamy is a postdoctoral researcher at Memorial University of Newfoundland in St. John’s, Canada. David Thomas is a doctoral candidate at Carleton University in Ottawa.